The UN World Summit on the Information Society was held in Tunis, November 15-19, 2005. A major aim of the Summit was to bridge the so-called "digital divide". The idea behind the summit is to spread access to the internet in the developing world. Alongside the summit, the ICT4all exhibition provided the surrounding showcase with 70.000 visitors and 330 exhibitors from 180 countries. The International Center for New Media (ICNM) was designated to organize the Austrian stand at the ICT4all exhibitions with exhibitors from governmental and private sectors presenting innovative projects and applications. Exhibitors at the "Austrian e-content Village" included various ministries (BKA, BMWA, BMI, BMBWK, BMVIT, BRZ) and companies and institutions (Ars Electronica Center- Futurelab, apc interactive solutions AG, Bene und :3C! Vidision, Brains & Pictures, enum.at GmbH, Fabasoft, Siemens Business Services, Sonovista, World Summit Award). catx was hired by the ICNM to manage and provide all logistical and production related matters including controlling, transport, shipping, technical setup and support, stand building, IT and network. Transport and stand building was handled in close cooperation with ARTEX Art Services whom have become important project related partners over the past years. The design and structural concept for the stand was conceived by Markus Pillhofer. The stand area totalled 120qm. Four large scale projection screens, a presentation area, numerous installations, infrastructure, tech- and storage space and a total of 20 exhibitors had to be distributed. 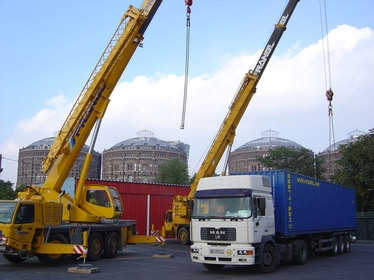 In addition to the space constraints, the time required for setup and dismantling of the stand had to be minimised whilst maintaining a more or less self-sufficient system.